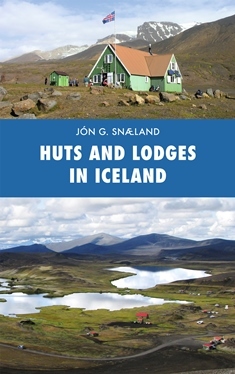 This book illustrates in text and images upwards of 140 huts, old and new, that have been built throughout Iceland. The book contains a vast amount of information about the huts, their history and furnishings, in addition to mentioning their owners and supervisors. Description includes a photo of each hut, and their position is indicated by GPS quadrants and on a map. Approaches to the huts are clearly detailed and frequent mention is made of nearby natural gems. A separate chapter describes various classic and historical mountain huts, some that still serve wilderness travellers. This is a particularly useful handbook for all those who travel from summits to seashores, whether going on foot, by horseback or by automobile. 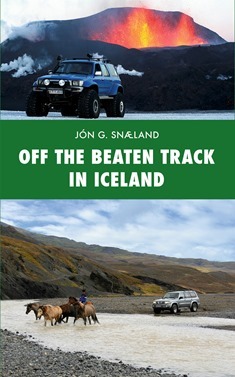 This book provides detailed descriptions of interesting routes in Iceland that are off the beaten track, especially in the highlands. A map is provided for each of the 40 route descriptions, most of them in the south and west of the country, and they are liberally illustrated with photographs. Each description is prefaced by its own list of practical information such as the length in kilometers, estimated travelling time, suitable vehicles, possible difficulties, etc. The general introduction contains vital information and advice on travelling in the Icelandic highlands. 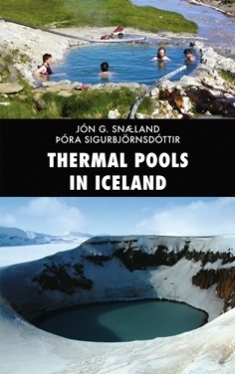 This is a book about thermal pools, one of the unique natural phenomena of Iceland. It describes well over 100 pools that are worth a visit, both untouched natural pools and man-made ones filled by natural hot water. They are found in all kinds of surroundings: the tideland of a fjord, the middle of a farmyard, an ice cave in the interior, even a village main street. The book is invaluable for anyone who fancies a warm bathe while on their travels. Since many pools are difficult to find, especially in the interior, the GPS location is given for every one and there are photographs of every pool. Good maps and lively descriptions make this book a practical, easy-to-use and entertaining travelling companion.